As the North Carolina legislature and the DHHS look for solutions to the opioid problem, consideration of new options is imperative. As doctors, we need to be sure we are doing no harm, as Hippocrates taught us some 3,000 years ago. “Job One” in the medical profession is to relieve pain. Prescription controls always sound good but don’t work and harm those who are seriously in pain. Opioids (narcotics) are the only class of medicine to control real pain. Out of 100 people taking pain medicine, only a very few, perhaps three or four, will develop an addiction. Restricting pain medicine in the other 97 is not good medical practice. When I treated soldiers returning from Vietnam in the 1970’s hooked on high-dose heroin, only a very few became addicted after withdrawal was over. The vast majority of people exposed to the same amount of narcotic will not end up as addicts; they don’t have the disease. Well-meaning people confuse the doctor’s prescribing with the increased opioid (narcotic) death rate by thinking prescription drugs lead to heroin. This is not true. They may be both involved but causation has not been shown in carefully designed studies. Deaths from narcotic overdoses usually involve multiple, non-prescribed, street drugs, not pain medicines prescribed by caring doctors. 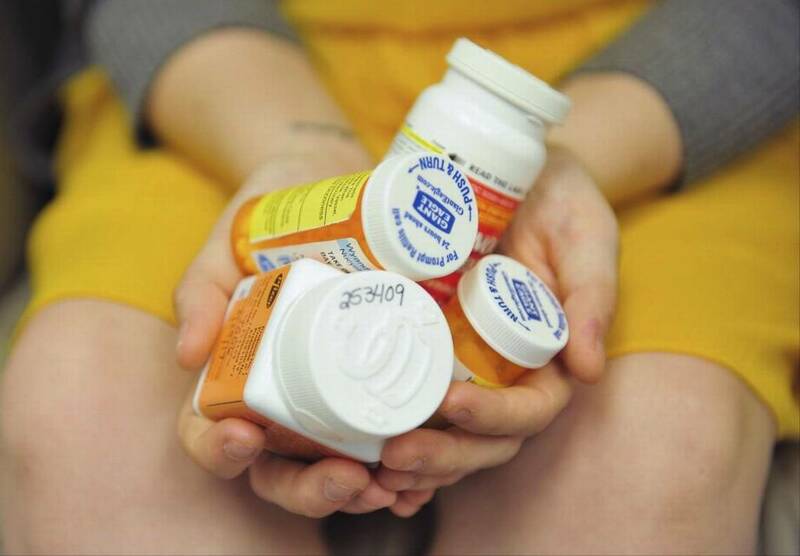 Studies have shown that addiction patients rarely find what they need by using prescriptions from their doctors. We need to start putting real numbers and percentages to the problem – not combining all narcotics under the umbrella of the buzz word “opioids.” The narcotics or opioids killing people are not from our prescription pads. That small percentage of the population really hooked on alcohol and narcotics are not weak, flawed, or sociopaths. They are patients with a brain chemical receptor disease that turns intense organic-driven “seeking” behaviors into ruined lives. Brain receptors are locks that open chemical channels in the brain with fitted keys called “ligands.” Something is clearly wrong with the key and lock system in the brain of those “addicted.” These abnormal opioid receptors are incapable of desensitization; what we call “down regulation.” They remain far too sensitive to opioids. Once the opioid chemical ligand is inserted into the receptor “lock,” the door opens and the person experiences euphoria and less pain. The “addicted person” has far more euphoria than would the 97 percent of people who take narcotics and alcohol without the disease. We shall call this brain receptor problem “Chemical Receptor Disease” (CRD) replacing the term Chemical Dependency (implying dependent personalities). This failure to regulate receptors and quiet them down in the face of high ligand levels inside the biochemistry of the brain is a disease – CRD. Euphoria is normal. Our bodies normally make our own opioids called endorphins. We make these when we exercise regularly. This is why we feel good after a workout. Runners are grouchy if they don’t run for four or five days, experiencing withdrawal. The endorphin opioids, drive us to continue exercising. If we had receptor dysfunction or CRD, we might want to exercise 10 times a day. Unfortunately other opioid ligands can unlock the receptors as well, like heroin, OxyContin, Percocet, Fentanyl, and Morphine. What makes heroin group ligands different is they are dealing with hyperactive receptors and worse are presenting the receptors with huge numbers of keys or ligands. The euphoria is unimaginable. The drive to maintain this level of euphoria can be unstoppable. The failure of the brain to modulate or down regulate, as the biochemists would say, is probably inherited and present for life. Teenagers should be taught in “health class” that CRD may show up in just a few people exposed to alcohol and narcotics, where most will have no problem. The key symptom to monitor for those few with appearance of strong “seeking” behaviors. Once looked for they are easy to pick up. This person needs quick, early intervention with a medical receptor blockage program. Court ordered talk-based therapy will not work; it’s like talking to cancer, or diabetes. Doctors are not contributing to “addictions.” This is a myth of guilt. Evidence has been around a long time that doctor prescribing has virtually nothing to do with the vastness of the “seeking” problems. There will be drug seeking as long as we have the disease. Restricting supply always fails, from Richard Nixon’s “War on Drugs” to more attempts now. Reducing supply stimulates the criminal supply chains. Studies have shown the CRD drug seeking behaviors usually bypasses the typical doctor’s office. Seeking patients will find. An effective new Chemical Dependency (Receptor) Disease program is needed in North Carolina and could be used as a model nationwide. Creating a program centered around naltrexone for both alcohol and narcotic chemical dependency is needed. Less jail time, less court expenses, less expense of failed rehab programs could easily pay for a real “turn yourself in for treatment” medical, receptor control program. People will always need pain relief. A suggestion to try Tylenol first is cruel. We would harm 95 percent of those with pain who will never become addicted. If everyone who has received prescription to “opioids” were to become addicted, as implied by opioid restrictions to prevent addiction, then nearly the entire adult population who ever received a narcotic would be “addicts.” We need to shed these myths. It is time to shift away from blaming and shaming and away from, arrests, dragnets and useless attempts at supply restriction and move to compassionate, understanding programs respecting this lifelong biochemical disease as we would with cancer, diabetes, and lung disease. It is not a new war on opioids; that war is already taking place inside the patients with organic dependency – CRD. We have our first opportunity to address this problem of chemical- based disease and on what we know of the biochemistry of the brain. We should focus our treatment on the abnormal opioid receptors with medicines like naltrexone and away from tired, failed supply restriction remedies and away from blaming the patients. Thomas F. Kline, MD. Ph.D, is a geriatric medicine specialist in Raleigh. You can follow Thomas Kline on Twitter here.